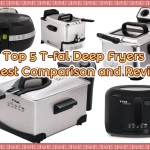 Designed for small servings, the Presto 05420 FryDaddy Deep Fryer is a perfect choice for small families that occasionally love to indulge in fried foods or those who only need small servings. With a sleek and compact design, the fryer is a great addition to any kitchen and acts as a great tool of bringing in variety to your menu. 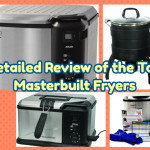 It is packed with a number of useful and quality features that make it a honorable mention when it comes to basic domestic fryers. 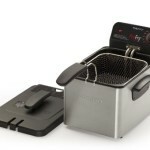 Both the inside and outside of the fryer are made from non-stick materials that prevents food from sticking onto them. The non-stick surfaces are also easy to clean and care for and are resistant to tarnish or rust. The snap-close detail spares you the trouble of emptying and refilling the fryer before and after every use, especially if you are frequently using it. The lid holds on tight to the fryer to prevent your oil from contamination, odors or spills. Thanks to the lid the fryer along with the oil can be stored in the freezer if you intend to fry once again within the same week. This fryer has a basic bucket shape that eliminates need for a basket to dunk and remove food. You therefore have the oil and food all in one container which only gives you one less item to clean up. The small milled steel bucket is easy to clean which is attributed to its non-stick design. 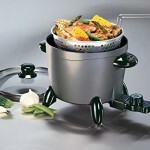 It evenly distributes heat to ensure even cooking and prevent burning of foods. Presto 05420 FryDaddy’s exterior remains cool during use and so there is no risk of burning yourself. 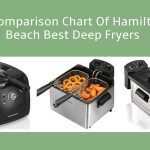 The heating element is located at the base of the fryer and only directs heat to the frying bucket without affecting any other parts of the fryer. For added safety, a large plastic hand scoop that also acts as strainer is provided. To ensure precision when frying are easy controls. The fryer works on simple ON/OFF mechanism and automatically maintains the proper temperature allowing you focus on your cooking instead of fretting with controls. The temperature auto adjust feature is also helpful when you are busy preparing more than one dishes and as you do not have to constantly focus or monitor the fryer. The fryer heats up to 375 degrees Fahrenheit in just minutes and then drops down to between 325 and 350 degrees Fahrenheit depending on the food being cooked. The Presto 05420 fryer features a minimalistic tall design that makes it ideal for small spaces. 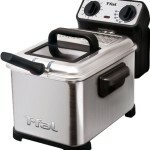 The tall sides increase the fryers depth and thus minimize splatters making it messy free. With a diameter of only 7 inches, the Presto 05420 FryDaddy Electric fryer is small but handy in preparing small meals like deep fried chicken wings, shrimp, fish and chips. In addition it is lightweight and includes large to carry handles that allows for easy portability. Less oil. The fryer is quite economical only requiring 3-4 cups of oil depending on the food to be cooked. It saves you on oil while still delivering great-tasting fried meals. Since the fryer works on a ratio of 1: 1, you need not use the recommended 3-4 cups all the time, you can use a single cup for one serving just as long as the food is covered in oil while cooking. Easy and convenient to use. 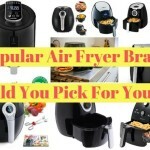 The simple design of the fryer makes it easy and convenient to use. The only controls are the ON/OFF button. It also does not require assembly or any form of installation. Reduce oil odors. To help reduce oil odors, a charcoal filter is attached to the fryer and now you won’t be having food odors hang in your kitchen for days. Fast heats. 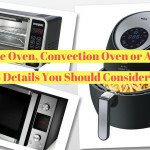 The oil heats up fast and the temperature remains quite constant during cooking and so cooking time is reduced and foods come out perfectly crispy. Easy clean. The removable bucket makes cleaning easy. More safe. The power cord is attached to the fryer by magnet and reduces risk of accidentally pulling the cord or tipping the appliance over. More durable. The fryer uses quality materials in its construction that do not react with the food in any way. The bucket is rust and chip resistant for enhanced durability. Includes a two-year limited warranty. Although the bottom and heating element are shielded, it is common for them to still heat up and leave the countertop very warm. If your countertop is prone to warping consider placing a wooden cutting board underneath the fryer while it is in use. While splattering is not a great issue of concern with this Presto fryer, it still can happen especially when you accidentally get water into the hot bucket or when dunking frozen foods into the oil. A lid would help contain these splatters and prevent any possible harm. The scoop/drainer may sometimes not fully drain out oils from food, as a result an alternative method of draining excess oil from foods has to be sought to suit individual preference. But overall, the grease content of the fryer is manageable for most people. Its small size forces you to cut foods into small pieces or avoid cooking big-sized foods altogether. It is also not suitable for large families as it can only prepare 4 servings at a time. 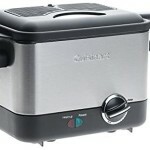 The fryer lacks an adjustable thermostat which makes it easy to use but also lessens its versatility. The plastic parts of the fryer such as the scoop and lid are at risk of melting when the fryer overheats. 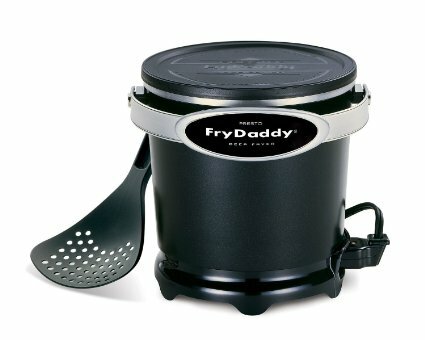 The Presto 05420 FryDaddy fryer receives great praise from consumers with a high number saying they are content with what it has to offer. Consumers love the simple design and its oil efficiency as well as its fast heating-up time. 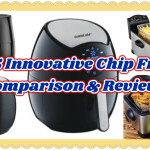 It is highly rated as a basic home fryer that delivers in terms of performance and ease of use. 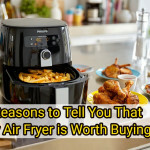 Of course there are a few recommendations as to what could have been done better but with the benefits the fryer promises, there is nothing the so bad that consumers cannot deal with. 1. Does this machine fry fish? Sure it will! Because it is a small unit, the pieces of fish cannot be large. Just 3 pieces at a time. 2. Where is this product made? Designed in America (Wisconsin). Made in China. 3. How long does it take for the oil to heat up? 5-7 minutes at the most. 4. How much oil does it hold? Will it work while only half full of oil? 32 ounces of oil. Yes, it will work fine with only half full of oil. 5. Can you cook chicken wings in this? How many chicken wings could fit at once? Yes. Great too cook chicken in enjoy. 8 to 10 wings depending on their size at once. 6. Is this easy to clean? Yes. It is relatively easy to clean, just use sponge and soap. 7. Does this splatter very much while cooking? No, it does not splatter. The Presto 05420 is cost efficient, user-friendly and performs exceptionally well for its size. 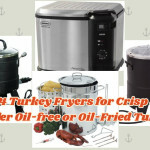 It is recommended for occasional and low frying usage as well as beginners that are just start to explore deep frying. 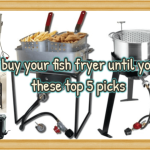 The fryer lacks fancy features and controls and instead focuses on delivering your fried foods with little or no fussing involved. Taking all factors into considering, it is a good buy that gives buyers their money’s worth.